Tarragon (Artemisia dracunculus) is a perennial herb belonging to the Compositae family. It is is formed by short rhizomes, forming dense mats and numerous herbaceous stems. Leaves linear-lanceolate, entire, dark green, which give off a strong odor. The basal leaves may be lobed at apex. Flowers greenish-yellow, about 3mm., arranged in a pendant inflorescence. The flowering season occurs between June and July. However, flowers are sterile in warm climates. This plant does not produce fruits in the southern countries, so its multiplication must be done here from stem cuttings. – Plant native to Central Asia, Siberia, Mongolia and Pamir mountain range. It was introduced in Europe in the Middle Ages, and it is now widespread throughout Central Asia. 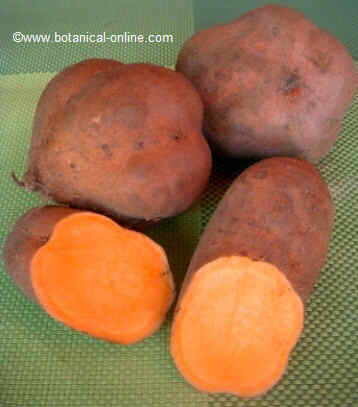 It is cultivated in Asia Minor, Central Asia, Russia, Europe, North Africa and in the Americas. – It prefers temperate climates, without extreme temperatures, between 15 and 18 º C.
– It develops in regions with hot dry summers and very cold winters. – Tarragon can be grown in cool places and in full sun. 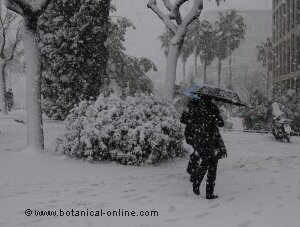 – This plant is sensitive to moisture, especially during the cold months. – Medium consistency, slightly alkaline, calcareous. – Deep and permeable, well drained. – It tolerates wet clay soils. – Drip irrigation so as soil can absorb water well. – Avoid pooling and flooding. – Daily irrigation in warm seasons. More spaced watering during the cold months. – Optimal Rainfall: 600mm per year. – Avoid excessive moisture in this crop. Use well-drained soils. Tarragon is multiplied by cuttings, runners or by division of clumps. The flowers are sterile in warm climates and this plant does not produce fruits in the southernmost regions. In this case, it can be reproduced from cuttings. Seeds are rarely found in tarragon, and, if we find them, they will probably belong to a Russian tarragon, a species more robust and less aromatic than French tarragon. Consider buying French tarragon seeds in a botanist or a reputable florist, where resistant and tasty varieties can be found. We should ignore the myths that explains that if you place a flax seed in a root of a see daffodil (Pancratium maritimun), a tarragon plant will be born from it. 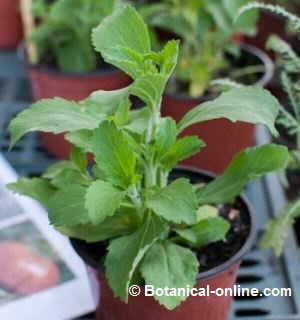 – Take cuttings from a peripheral stem foot of the mother plant in spring (March-April) and autumn (October-November). Cut cuttings 35-50cm. – Place the cuttings in a propagator until they root. – The cuttings must be planted in April and May to August in case of adult plant cuttings (over 3 years). If you transplant them in autumn, protect the plant from the cold with pine branches or in the greenhouse. – Irrigate copiously and drip after transplantation, in well-drained soil and avoiding puddles. – The plant must spring at 5 or 6 weeks after transplantation. – Cuttings should be taken within the first 3 years of the plant, when the plant is more aromatic in order to produce more flavory plants. Tarragon can be reproduced from stolons in late spring. This type of reproduction is natural in the plant and it is characterized because the seed does not intervene. tarragon is a tufted plant, that is to say, it possesses small rhizomes or underground stems, from which numerous erect aerial stems spring. These rhizomes may form colonies or tarragon plants up to 2 meters wide. – In April-May, divide clumps separated from the mother plant and plant them in a new pot. This can also be done between October and November. Choose those that have developed roots rhizomes. – A cultivation of tarragon can last up to 6 years. – It consists on a similar technique to the above. 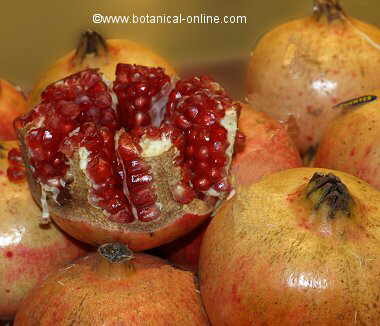 – Cut the new shoots or stems of the plant from its rhizome. – Give them time to heal and transplant them into a new pot. 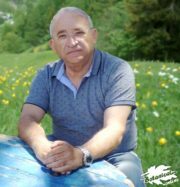 – Prepare the soil in autumn with fermented manure. 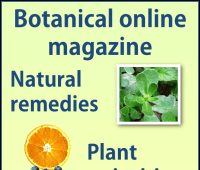 – Being an aromatic plant, we add sulfur to the crop. Sulfur is a mineral that the plant uses to produce aromas. – In the fall, we can add nitrogen (calcium nitrate) to strengthen the rhizomes during winter. – Cover in winter if the weather is very cold. – Blunt the stems to encourage the growth of young shoots. – Water regularly after the harvest, so that the rhizome develop new shoots. 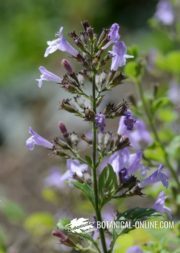 – Fresh leaves and floral heads: fresh and young parts are used as herb. When the plant is dried, it loses some properties and aroma. It is more aromatic from the second year of cultivation. Collect tarragon between July and August, in bloom and in the morning, which is when the plant has the highest concentration of essential oil. – Mycoses or fungal diseases: They especially occur on wet weather or with abundant irrigation, and when the difference between the day and the night temperatures is important. No preventive treatment is usually performed with fungicides, but the plant is usually collected before time. 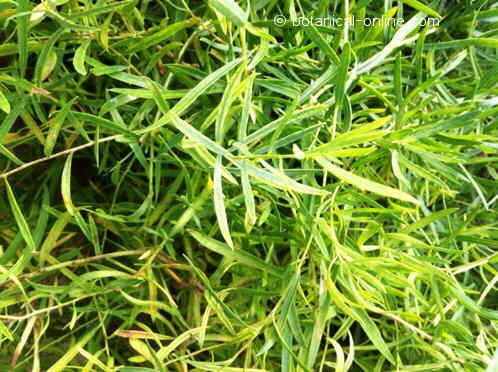 – Tarragon can be attacked by rust, a fungal disease type. It is important not to collect plants with reddish spots on leaves, which are typically infected by this disease. – Tarragon can also be attacked by mold Puccinia absinthii. 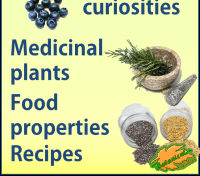 More information on tarragon properties and medicinal uses.